The 'new' shops, Eton Wick In 1951 the Eton Urban District Council built a parade of seven shops in what had been the Brewers (Meux) Field alongside the Shepherds Hut. Before these shops the village had been supplied by mobile traders and a few individual shops scattered throughout the community, most of which were adapted homes. These traders served the village well and in many respects it was to be regretted that the new purpose built shops would in time displace the older businesses. The shops both old and new in Eton and Eton Wick at that time were service shops supplying daily essentials such as meat, fish, groceries, fruit and vegetables, and dairy, bakery and chemist products. By the end of the 20th century, this service trade was fast vanishing from the local streets, as car ownership and supermarkets became the norm. 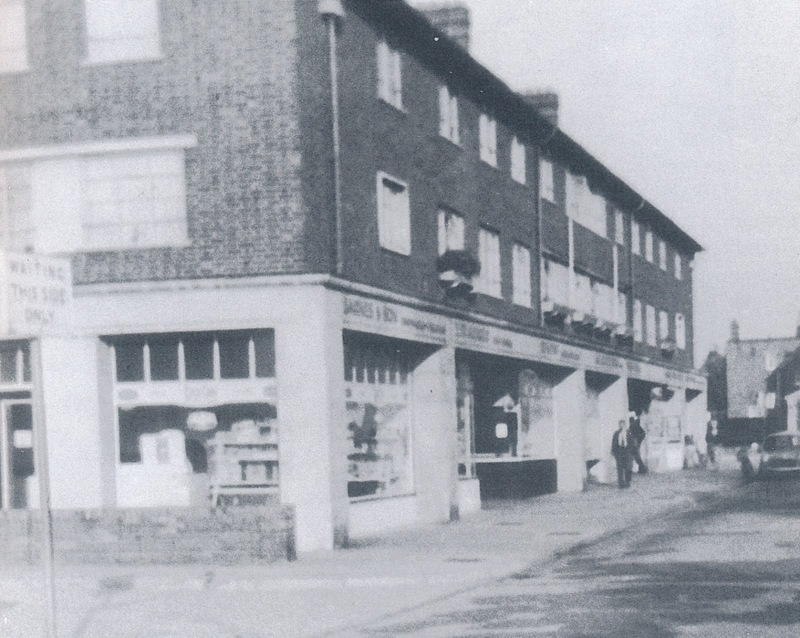 The first businesses to take up occupancy in 1951 were (from the nearest shop in the photo): Barnes (wet fish and game), Arnold's (butchers), O'Flaherty (chemist), Clinch (bakery), Darville's (grocery), Anderson (newsagent and tobacco), and Bond (greengrocery). When Doreen Tarrant (née Clinch) retired, Darvilles expanded into this unit, the wet fish shop became a fish and chip shop (now also a Chinese take-away) and the butcher's became a hairdresser's salon.